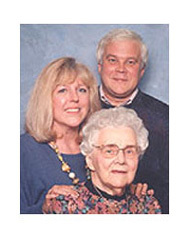 What does a Nursing Home Cost in Minnesota? The Price Depends on Where You Live in Minnesota. In the Twin Cities area for example, the average cost of a semi-private room was $231 per day. In Rochester it was $200. In the rest of the state, it was $228 daily. The rates in our chart reflect average costs. There were many facilities that charged more or less than the average. A semi-private room in the state ranged from a low of $147 to a high of $308. That's a spread, for a year's cost, of $53,655 to $112,420. The 2012 average was $18 higher than the 2011 average of $205 per day for a semi-private room. 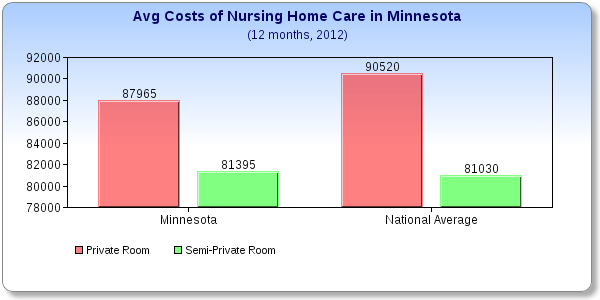 Minnesota was the 35th most expensive state for nursing home care. Minnesota ranked 35th for the cost of a nursing home room in the United States, according to this survey. Utah ranked just above, and South Carolina just under. The United States average cost for a semi-private room was was $222 per day. A private room was $248.